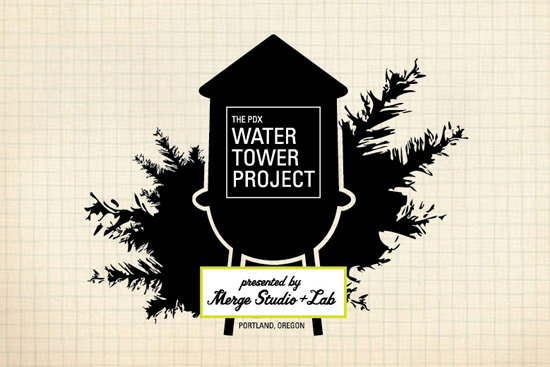 This project rethinks water towers and tank structures within the urban landscape. Use any 2d media to convey and explore how these industrial structures have impacted the city when decommissioned from their modern functionality. Background: Why are water towers structured so mundane and foreign to our landscape? What if they became integrated and reinterpreted within our urban fabric? Portland contains over 100 water storage facilities throughout the city. They appear in different forms, such as large 100' steel towers to lower round concrete tanks partially embedded into the ground. Others are arranged on top of buildings. The oldest water tower was built in 1909 while the newest constructed in 2002. All provide water pressure using the simple force of gravity. These water storage facilities serve the metropolitan area under serve drought conditions and power outages. Towers are traditionally designed to sustain enough water pressure for one full day of water to homes and businesses. Please see website for more details.